A report from Emily Waldon and Ken Rosenthal of The Athletic states that the Toronto Blue Jays have taken the novel approach of paying some of their employees fairer wages. Players in all eight of the team’s minor-league affiliates will receive a pay increase worth anywhere from 40 to 56 percent, as John Lott notes in his follow-up story on the announcement. Lott also notes that the club is aware this shouldn’t be the final measure for this topic and there’s still plenty of room for change. All in all it’s an appropriate response to something can only be celebrated so much. Yes, it’s a progressive decision to bump up these wages, but that’s because the bar is so low for minor-league labor relations that even modest morsels are considered big wins. Plus, Murov used privacy reasons as a shield to not reveal the organization’s salary scale for affiliates. No specific numbers were given, just examples based on league minimums and averages. 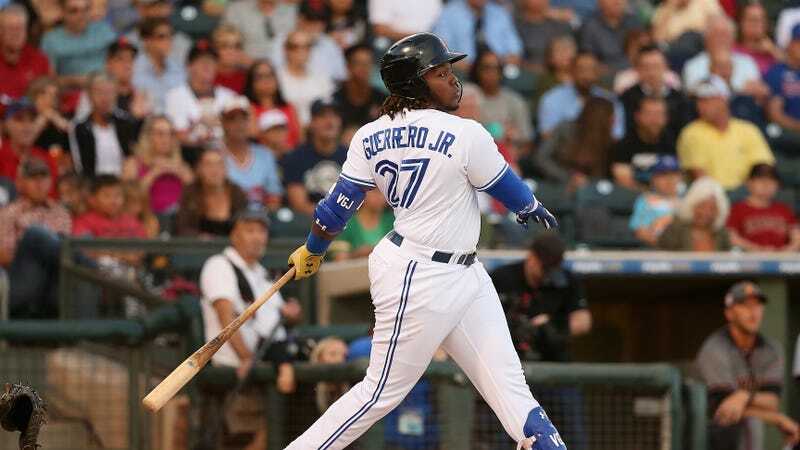 It’s also rich that this is coming from a club that is choosing to keep an exciting prospect in Vlad Guerrero Jr. down to basically prevent him from racking up service time in the Majors. Still, something is better than nothing and it’s kind of important to acknowledge that this is at least a step in the right direction. It’s also a lot better than, say, whatever the Twins, whose player relations guy shared in a now-deleted tweet the “fun fact” that one of their players is currently working a side gig as a food delivery man. If you’re wondering how that tweet could look any worse, Jarrett Seidler of Baseball Prospectus has got you covered. Always good to know that things could certainly be worse.